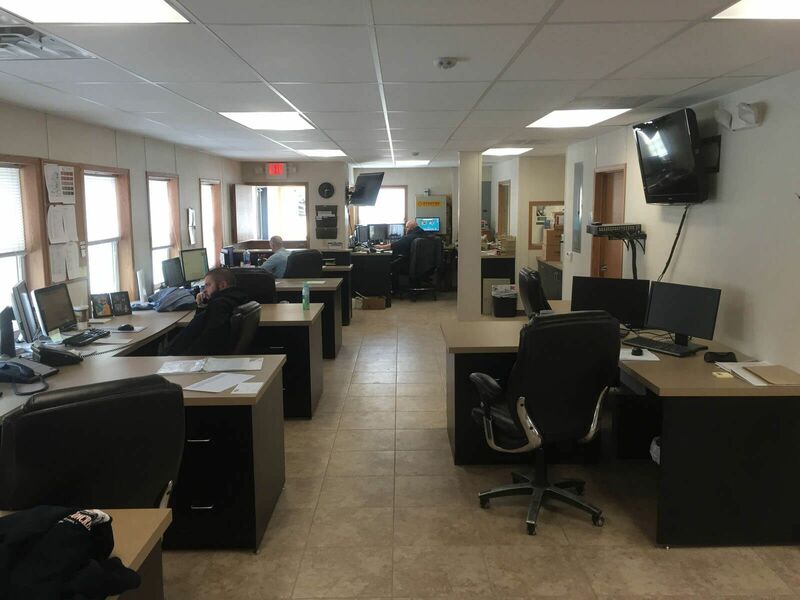 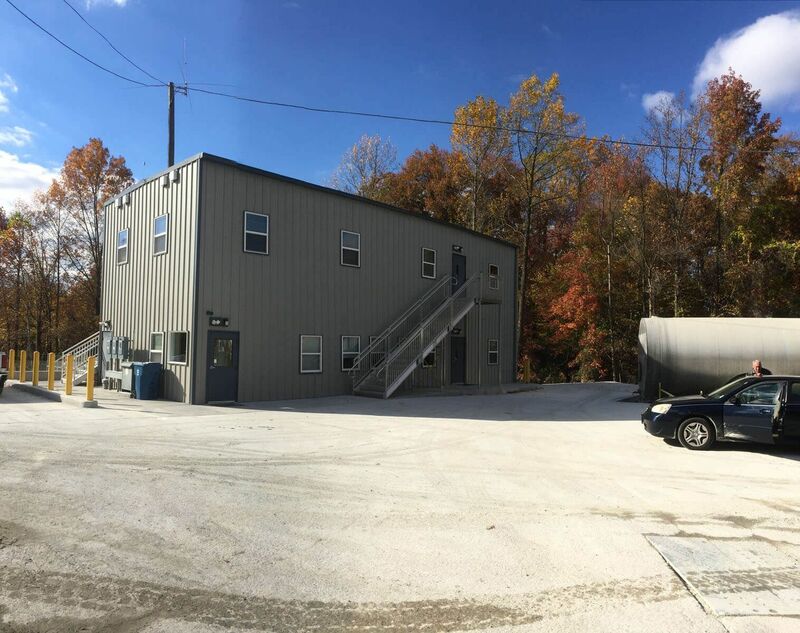 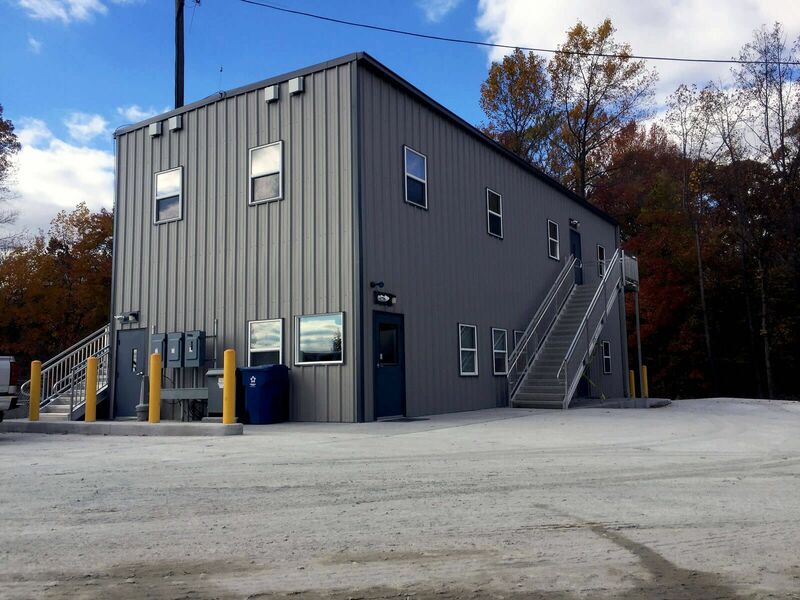 Maryland Portable Concrete’s batch plant located in Aberdeen, MD was in need of a new office building to house their dis­patch and operations crew. 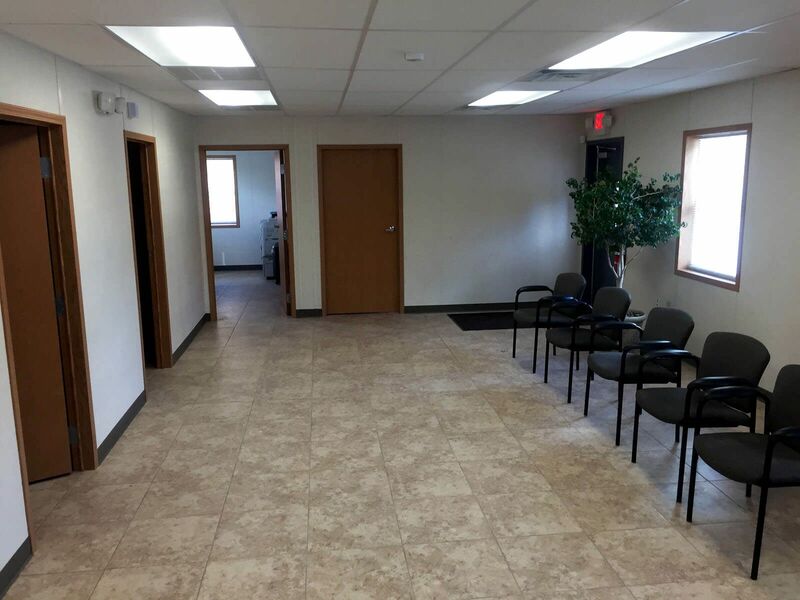 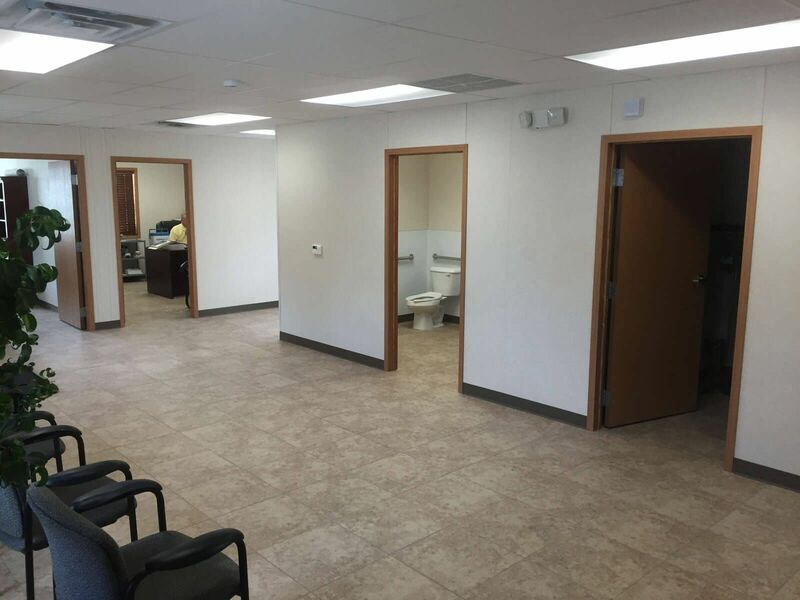 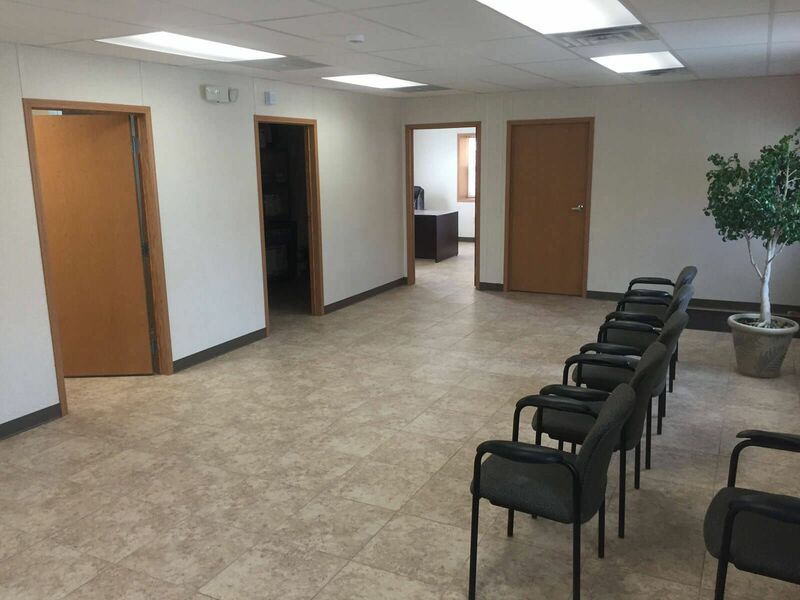 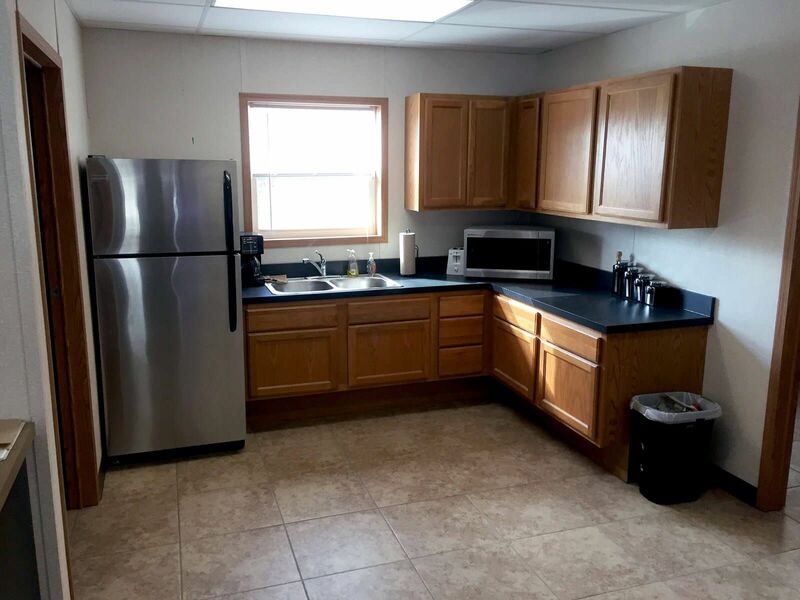 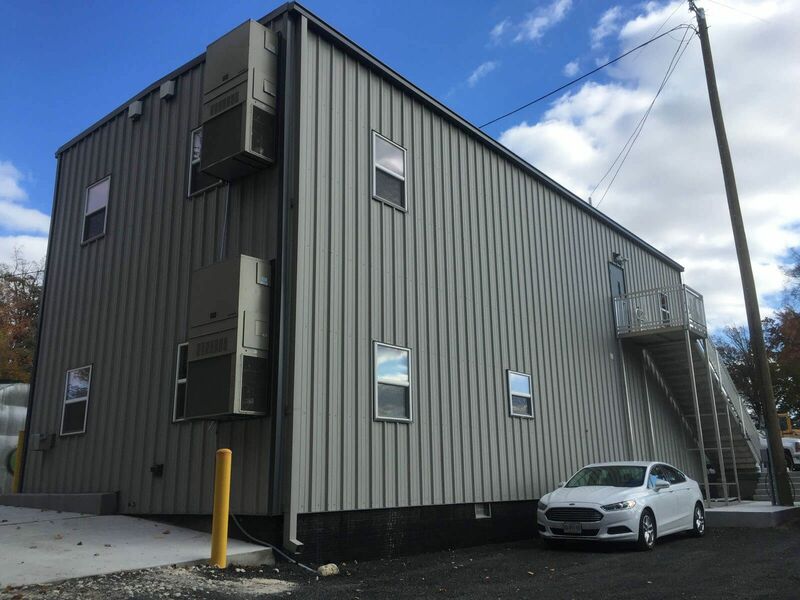 The existing dilapidated building needed a replacement and the company owners wanted a bet­ter work environment for their employees and for themselves. 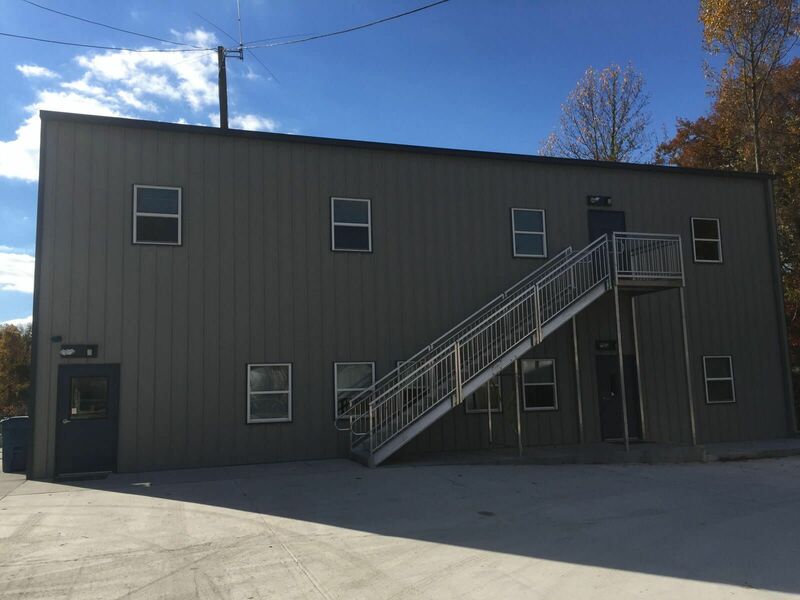 The existing building site was selected for the new two story modular building. 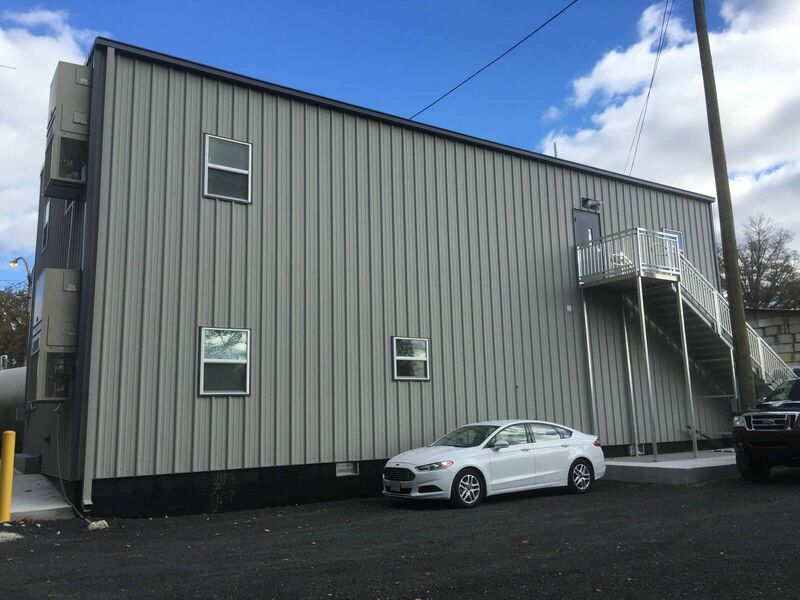 High Rib steel siding was selected to match the surrounding buildings at the facility. 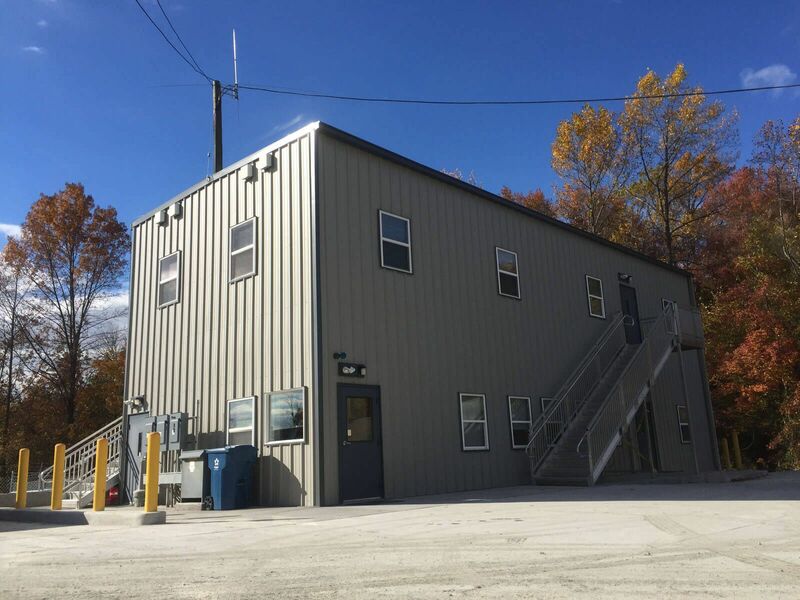 A new concrete park­ing pad was poured around the building to allow for employees and visitors to park at the new building location. 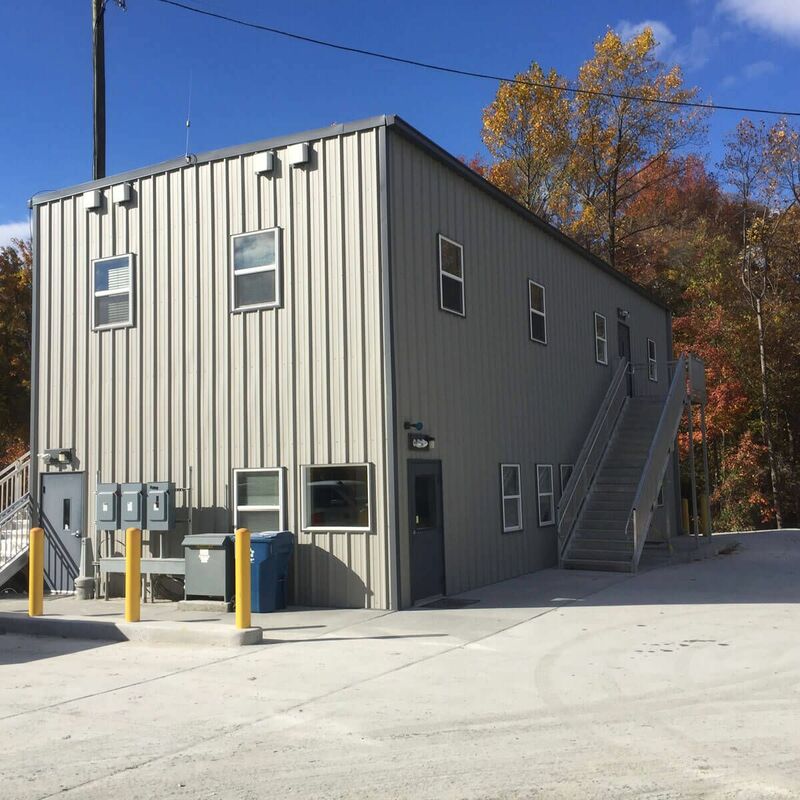 Two pre-fab­ricated aluminum stair towers were designed to fit within the tight space on site. 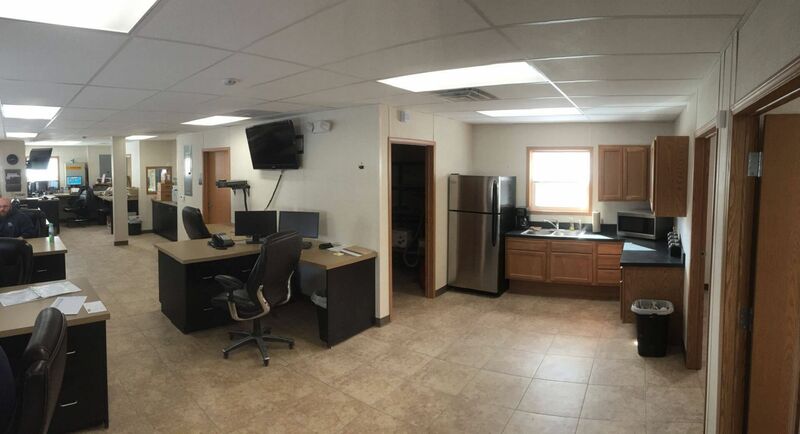 The interior of the building was configured to fit work efficiently with the employee work flow. 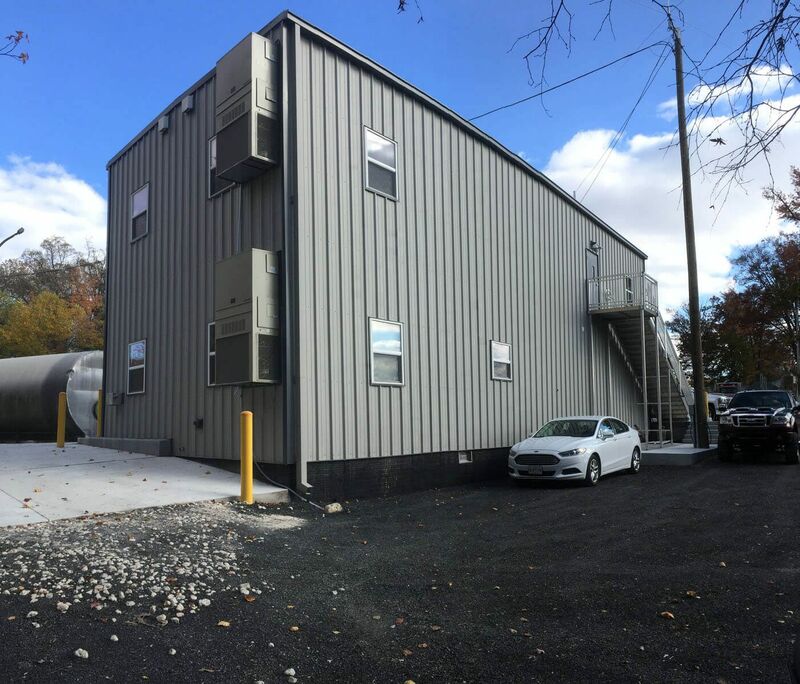 The congested space and harsh physical environment of this industrial facility required technical innovation to construct their building, thus off site modular construction made sense and was selected. 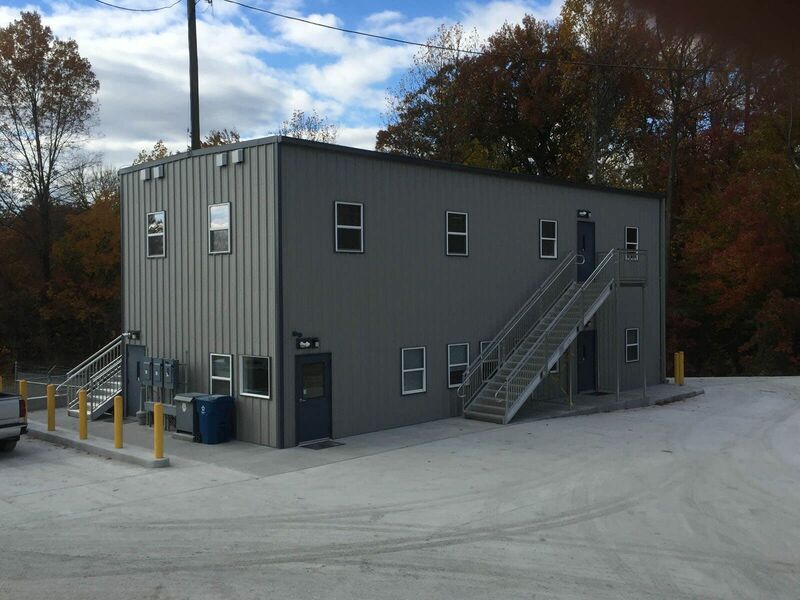 Four modular sections were constructed to house the two story building. 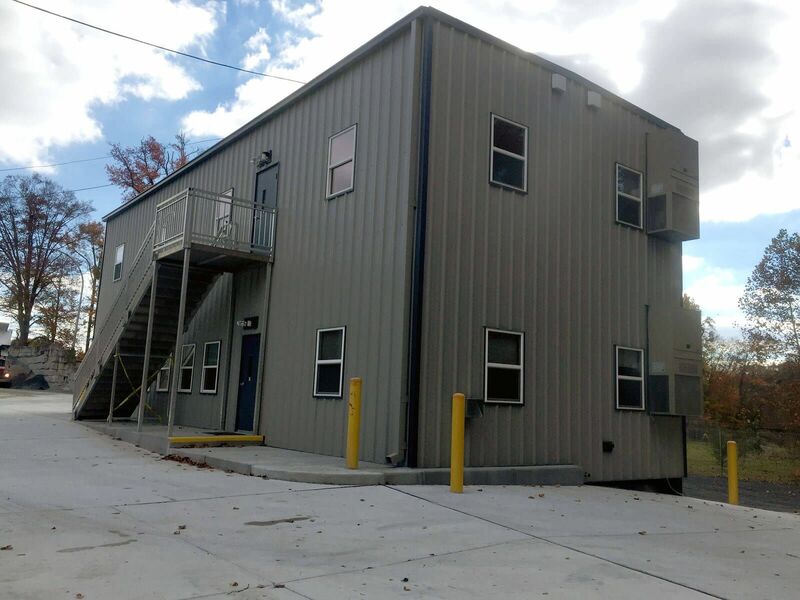 The first floor was constructed off site as a complete module. 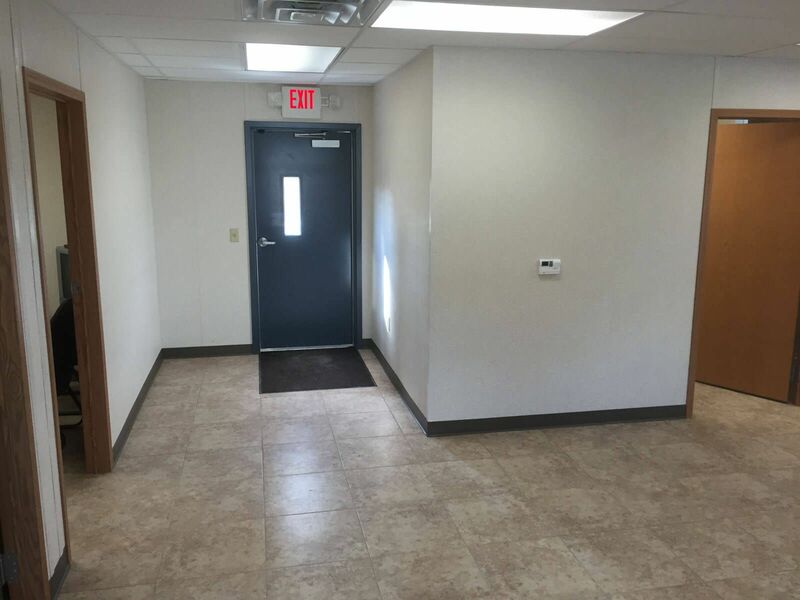 Porcelain tile was chosen as a high-quality flooring product due to the harsh conditions from the site and for a cleaner look. 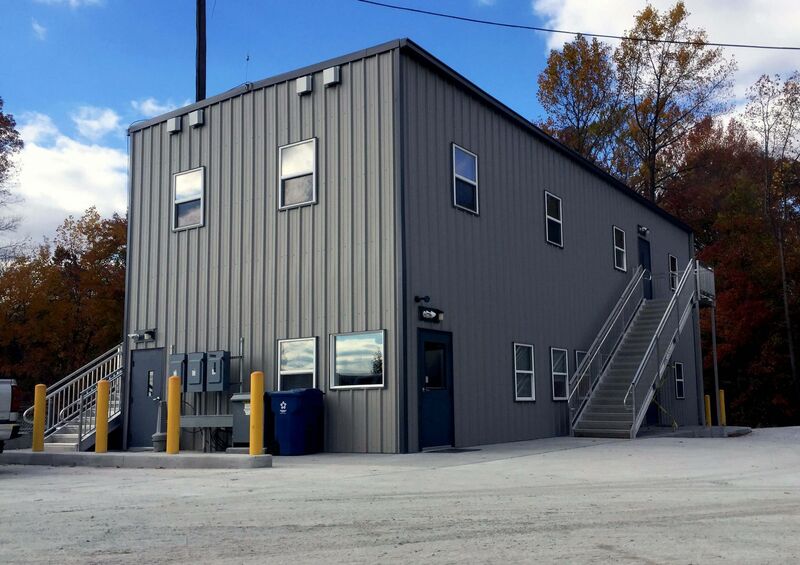 Low E window glazing as well as siding and roofing colors insured reflective features of the building to reduce energy expenditures.